Traffic cannot turn left at the intersection of Marshall Dr. and Route 110. 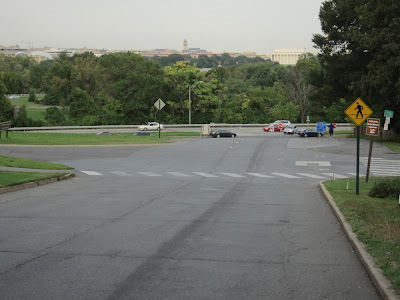 Cars are frequently seen doing a u-turn on Marshall Dr. just over the crest of the hill from the entrance road to the Iwo Jima Memorial. At the recent RAFOM meeting, a resident suggested putting a no-left turn sign before the entrance to the Iwo Jima. That's an excellent idea. 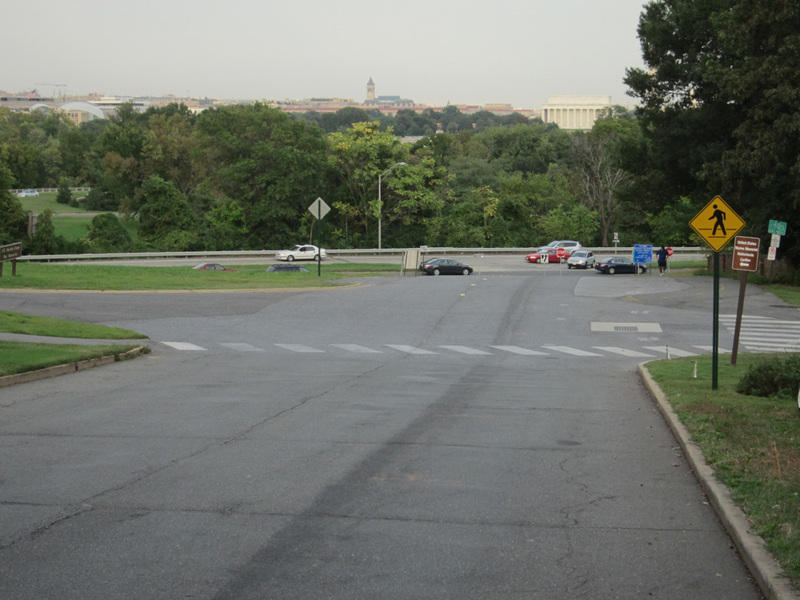 Then smart drivers would reverse direction by entering the park and going around the Iwo Jima Memorial.